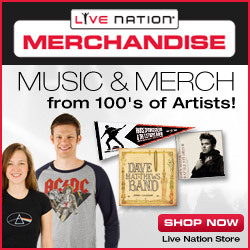 Head over to Live Nation and score $20 in merchandise or MP3 downloads for FREE with promo code zildjian20, no credit card required! Then view your cart and enter the promo code, zildjian20. If you have less than $20 worth you do not have to enter a credit card number to check out! I tried this out with the MP3’s and it worked.